We do Transfer and Taxi service in Belarus for bisiness trips and private tours with fixed price. We are doing it not occasionally few time a month, for example, but professionally day after day. If you come to Belarus with business trip and need to get to any point of our country to visit your partners or to make some business solutions we can provide transfer for you from Minsk Airport or from Minsk city. Our driver will meet you with a plate with your name or name of your company and drive you to your point of destination in door-to-door mode. For any trip we can give you receipt for your company. Fill the ordering form to Book a Licensed Taxi from Airport Minsk to Crowne Plaza Hotel! 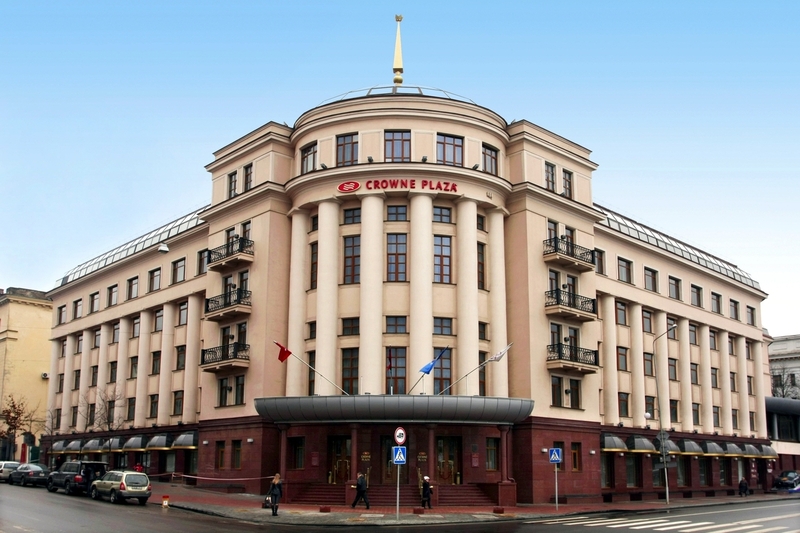 Simple and fast online transfer order from Crowne Plaza Hotel to Minsk Airport with fixed fee. Best service guaranteed! Разнообразный завтрак “шведский стол” гости могут заказать в ресторане Empire, откуда открывается прекрасный вид на город. Кроме того, в ресторане Dolce Vita вы можете попробовать домашние блюда итальянской кухни в классической изысканной обстановке. Отель Plaza станет для вас прекрасной отправной точкой во время осмотра достопримечательностей: всего за 5 минут вы дойдете до станции метро “Площадь Ленина”, а за 12 минут – до Костела Святых Симеона и Елены.